The members of The Animation Guild, Local 839 IATSE, have ratified the new 2015-2018 contract, which the Guild negotiated with animation studios represented by the Alliance of Motion Picture and Television Producers (AMPTP) from June 29 to July 1st of this year. 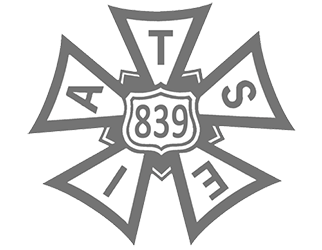 The Guild, though one of the West Coast production locals in the IATSE, negotiates separately from the IA’s west coast bargaining unit. Percentage-wise, the Animation Guild’s overall ratification vote ran 68% higher than in 2012. The new collective bargaining agreement includes 3% annual wage increases to contract minimums, a 10% pension increase, and 30% increases for contribution hours under Animation Guild’s unit rates. Additionally, a new pay structure and higher benefit contributions were negotiated for freelance Timing Directors. Surely this applies to studios outsourcing local work, and indeed has ramifications for outsourcing to overseas studios??? The ramifications of the new NLRB ruling are being considered. There will be implications for all employers who have “sub-contracting” relationships with parts of their business.